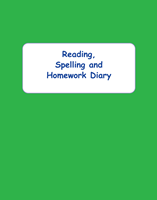 Popular Reading, Spelling and Homework Diary with generous space to record, monitor and track daily tasks. Designed for 38 weeks. Durable strong laminated cover. Booklet size: 242mm x 190mm. Fits comfortably in the school bag. 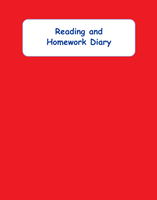 Popular Reading and Homework Diary with generous space to record, monitor and track daily tasks. Designed for 38 weeks. Durable strong laminated cover. Booklet size: 242mm x 190mm. Fits comfortably in school bag. PRICE SLASHED - While stocks last. 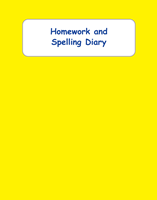 Popular Reading Diary with generous space to record, monitor and track daily tasks. Designed for 38 weeks. Durable strong laminated cover. Booklet size: 242mm x 190mm. Fits comfortably in school bag. Popular Reading Diary with generous space to record, monitor and track daily reading. Designed for 38 weeks. Durable strong laminated cover. Booklet size: 242mm x 190mm. Fits comfortably in the school bag. 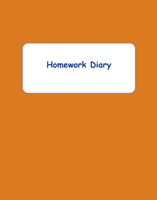 Popular large size Homework Diary.